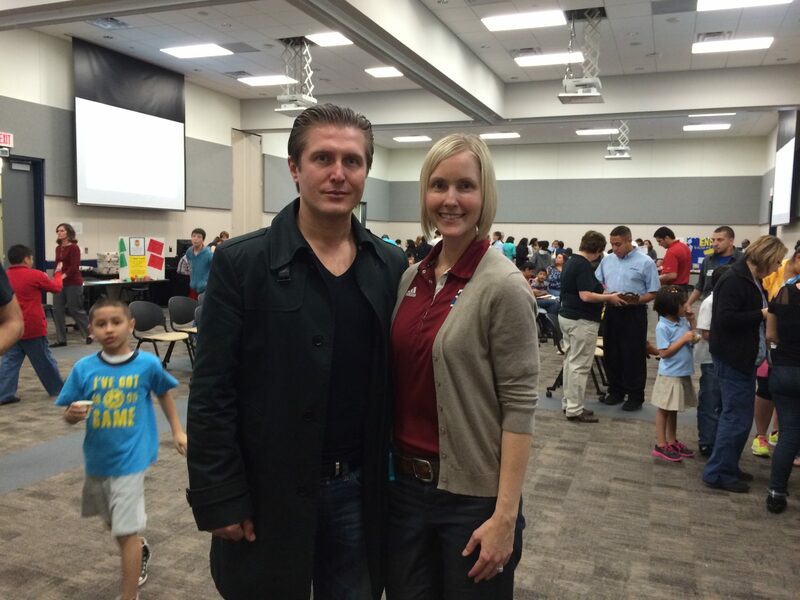 Health Fitness Revolution founder Samir Becic gave a speech to the educational professionals and parents at Pasadena ISD. He demonstrated his unique ReSync Method and showcased how it can easily be implemented in both their personal lives and the schools they represent. Since no equipment is needed- just their body- its simplicity and effectiveness are where the beauty in this training lie. 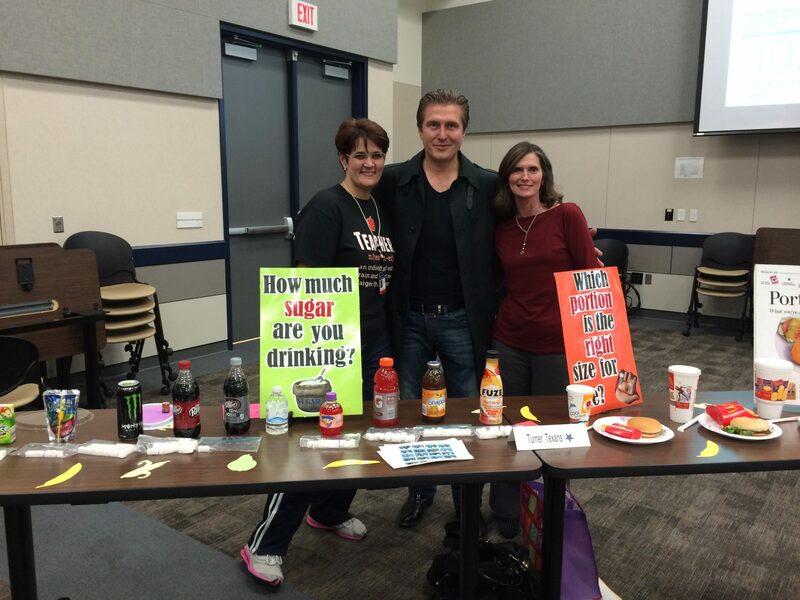 Samir with a Pasadena ISD teacher and Jackie Caver who made this educational info-graphic on the amount of sugar in drinks. By getting proper training in the ReSync Method, educators can actually help their students grow into the powerful young leaders of tomorrow, while imparting the core values that our non-profit represents- health, fitness, life balance, perseverance, hard work, determination, and respect. We aim to devise programs and seminars that incorporate education, fun, activities, and new concepts that teachers and professors can use to arm their students with the best knowledge and education available- so that they can reach their ultimate potentials in taking control of their health as they grow into their adult lives.